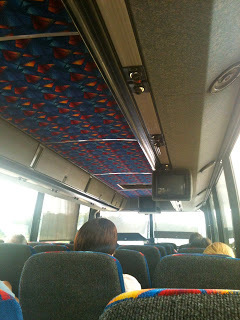 Travel to & from Athens GA on the Megabus! If you&apos;re planning on visiting Athens, Georgia for a concert, art show or University of Georgia event, you should know about a great alternative to driving into the Classic City! The drive from Athens, GA to Atlanta is relatively short at roughly 70 miles and takes about an hour and a half. I&apos;m sure I speak for a lot of you, however, when I say that the drive up 316 can be... painful. Sometimes, I&apos;d just rather not drive. If that&apos;s the case for you, as well, you know the other options are relatively limited. The light-rail system connecting the two cities isn&apos;t coming any time soon and I sure don&apos;t have the time and energy for a bike ride. So, when I needed to meet my family in Downtown Atlanta for an afternoon engagement, I rode the Megabus and I&apos;m glad I did! After spending the spring semester in Europe, public transportation and I got really comfortable. There was no other option. That mentality has made it&apos;s way across the Atlantic, but hasn&apos;t reached south of the Mason-Dixon. That&apos;s okay. But, my one-way ticket to the Civic Center MARTA Station in the shadow of the W Hotel cost just $3.50 and saved me the stress of driving down I-85.&nbsp; It&apos;s so worth checking out! I bought the ticket on the Megabus website about five days before my Wednesday afternoon trip. I brought my ticket with a confirmation number to the Athens Multi-Modal Transit Center, about a block from The Classic Center on W. Broad Street. The bus drops off passengers from Atlanta at this stop, too! If you&apos;re staying at a hotel in Downtown Athens or near the UGA campus, it couldn&apos;t be more convenient! 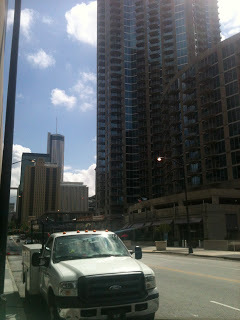 At 2:59, we pulled off the Downtown Connector, turned left on Ivan Allen Blvd. and made it to the MARTA station. I only took a one-way trip but from what I experienced, I would definitely take the Megabus again. If you don&apos;t mind the constraints of a departure time. If your schedule works with their timetable. Most buses leave Athens around 8 a.m., 1 p.m., and 6 p.m. and go back to Atlanta shortly afterwards. 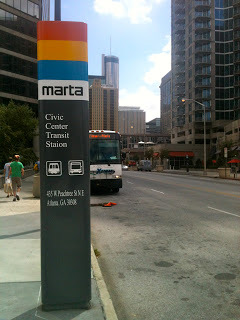 For a detailed look at the bus stops, click here and request Atlanta to Athens. The drive should never be a reason to stop you from Visiting Athens, GA! 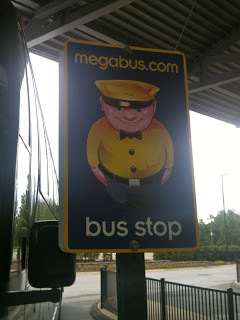 Let us know... Have you taken Megabus to get from Atlanta to Athens? How has it changed your commute?